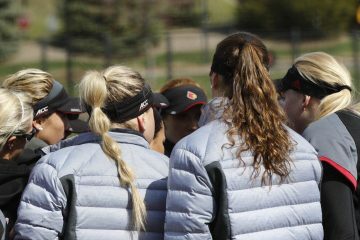 The Louisville Cardinals opened it’s season over the weekend out on the west coast. They come away with a 3-2 record and here are your quick span recaps. Bad: 5 errors. Able to minimize the damage until the seventh inning when the Bengals capitalized on a miscue to score two insurance runs. 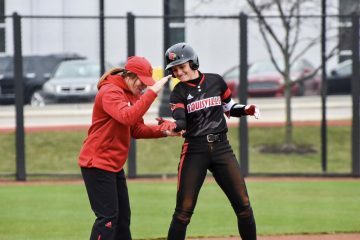 In the middle: Senior Sidney Melton and freshmen Taylor Roby and Cassady Greenwood had two hits apiece, but the Cards could not push a run across. Good: Bounce back win in run rule fashion while giving up no runs in return. Sophomore Danielle Watson delivered career-high nine strikeouts and allowed one hit. Seniors Sidney Melton and Darrianne Hale backed her with two RBIs a piece. Good: Cards win two in a row… by a combined score of 19-0 in 9 appearances at the plate. Had 11 hits in game 3. Redshirt freshman, Taylor Roby, made an impressive debut in the circle, striking out nine in a one-hit shutout and helped her own cause with two RBIs en route to her first career win. 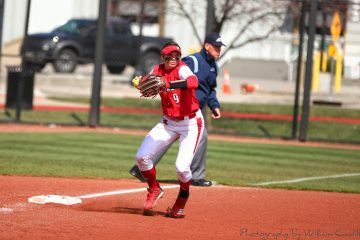 The win marked the second-straight one-hit shutout for head coach Holly Aprile‘s squad. Good: It was a pitchers duel between the Cards’ Watson and NW. Each pitcher was in the midst of a one-hitter through six innings before the Wildcats broke through in the seventh. In the middle: Celene Funke had a hit in the first but after that the Wildcats retired 17 straight until the bottom of the seventh. Funke led off with a triple for her second hit of the game. With the tying run on third and the game-winning run at the plate and not outs, the Cards could not capitalize. Watson (1-1) took the loss, giving up one earned run on two hits and striking out six in a complete game effort. 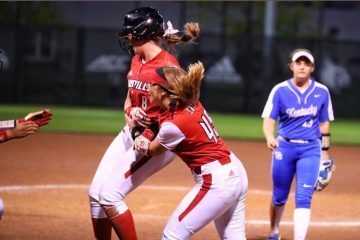 Funke registered both of Louisville’s hits in the game. 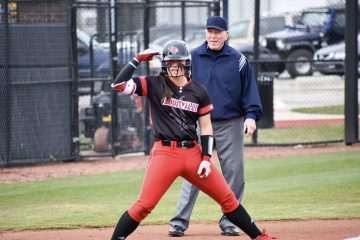 bad including the first homerun of the season for Louisville — a 3 run dinger. Bad: Gave up 5 runs after 7-0 lead. Taylor Roby (2-0) picked up her second win of the season, allowing four runs, three earned, on six hits and striking out four in 5.0 innings. In the seventh, senior Megan Hensley, who had entered in relief of Roby, retired the side in order to pick up her first save of the season. Hensley gave up one earned run and struck out three in 2.0 innings of relief. 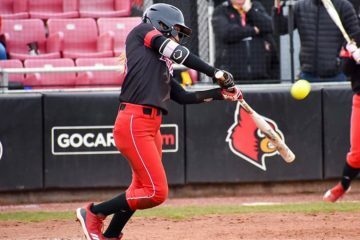 Louisville (3-2) will return to action next weekend when the Cardinals travel to Chapel Hill, N.C. to face Michigan and Northwestern in the ACC/Big Ten Challenge.